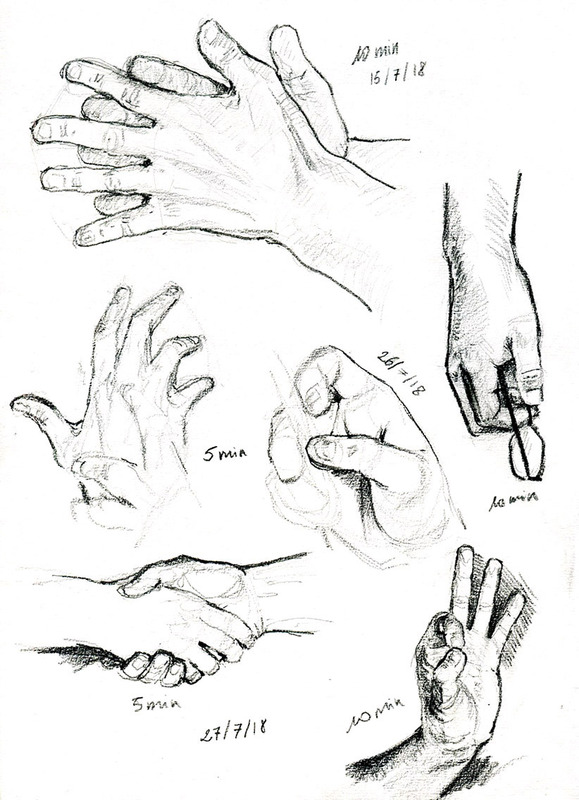 Since June I've been doing regular 30-minute class sessions in an effort to learn how to draw hands. There's been a definite improvement: my 30s hands look a lot less like pencils stuck in plasticine, and when I'm out peoplewatching I'm no longer afraid to at least attempt the hands (actual outcome may vary but it's the thought that counts). 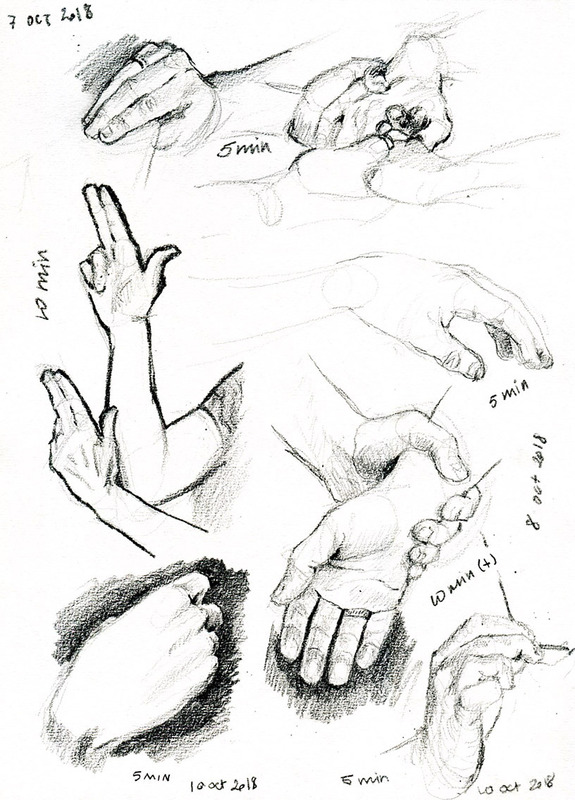 Strangely enough I have the most trouble with seemingly straightforward gestures - edge-on, palm or dorsal view - possibly because it's harder to bluff my way through the anatomy. I feel I should change my routine a bit, focus more on full body poses instead of just hands 24/7 - maybe practice basic 3d shapes and lighting, too, as I spend far too much time working out where to put the shadows instead of thinking "this shape = this kind of shadow", which probably won't help me much in the long run. I've been trying to spend a week or two on one area studying and then moving on to another area. My thought processes that I don't get too caught up in one area and I can spread my learning. And then cycle through all the areas and then repeat. I feel like moving around and studying helps me in all areas such as by shading the face maybe I learn a little bit more about shading the hands. I like the images that you posted keep up the good work.